These Locking Storage Drawer Shelves are ideal for mounting under keyboard shelves. They provide a safe location to lockup software disks and user manuals in close vicinity to the server control station. They are available in two sizes, 3" depth and 7" depth, and may be used for an open rack installation or inside a floor enclosure. 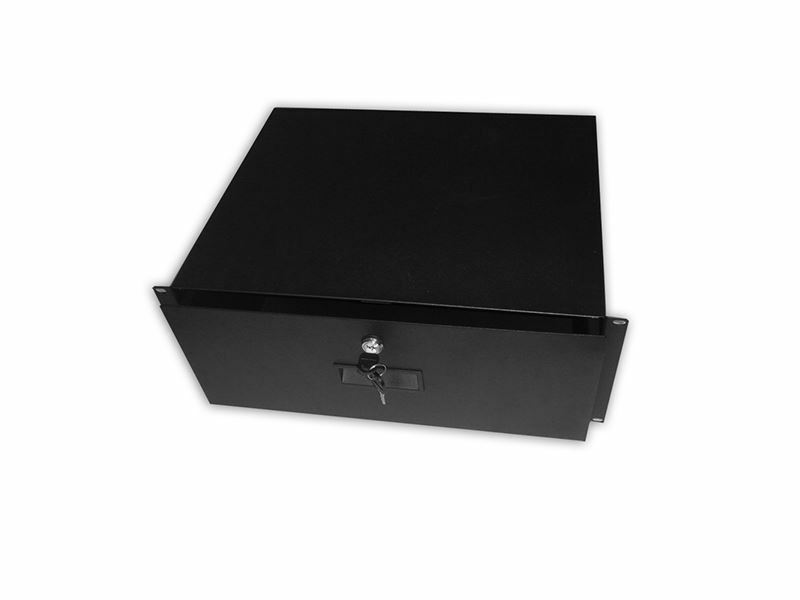 These drawers come complete with a set of #12-24 mounting screws and has a black powdercoat microfinish to match rack and enclosure color.